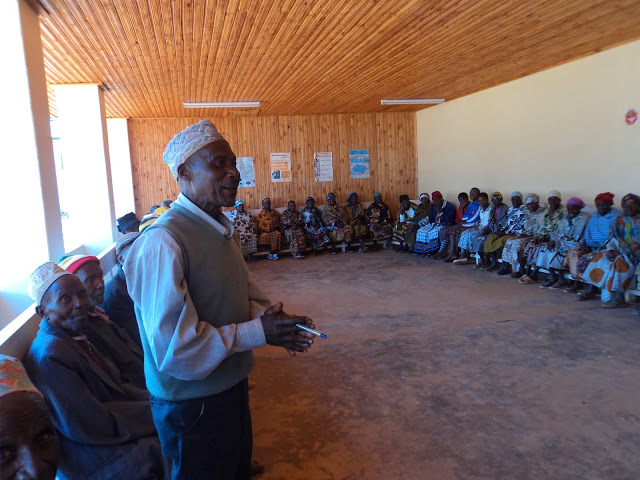 On Friday, November 8th, a group of officials from the Njombe Regional authority visited the Seniors' Centre at TANWAT Hospital that has bee supported by the Highlands Hope Umbrella in its establishment and early programming. 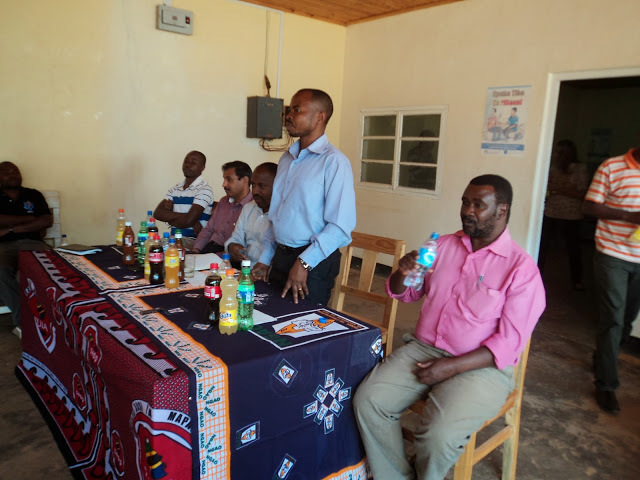 Presentations by Centre founder Edmund Munubi, by Tanwat CTC Director and Highlands Hope Coordinator Bety Liduke, and by the Chairmen of the seniors' group Nicolaus Msigwa explained the work of the Centre and the impact it is having on the lives and health of its members. They stressed that seniors need more support and are an asset to community life. The officials expressed surprise and support for the efforts. Highlands Hope Umbrella is planning an expansion of services to seniors, especially eye care, and will be continuing its advocacy on behalf of theis extremely poor and under-served population.